David Leitch, the stuntman turned director at the helm of Deadpool 2, will direct an adaptation of the videogame Tom Clancy’s The Division, according to Variety. The project has been in the works for a few years, with Jake Gyllenhaal signing on in 2016 to star and produce alongside Jessica Chastain. Gold director Stephan Gaghan was previously attached to direct but recently dropped out. The Division is set in a near-future New York City after a pandemic virus has erupted on Black Friday, killing millions. In the game, the main character is a secret agent in the Strategic Homeland Division, which is commonly referred to as “The Division.” The task force’s job is to rebuild what’s left of the city, investigate the nature of the virus outbreak and battle criminal activity. 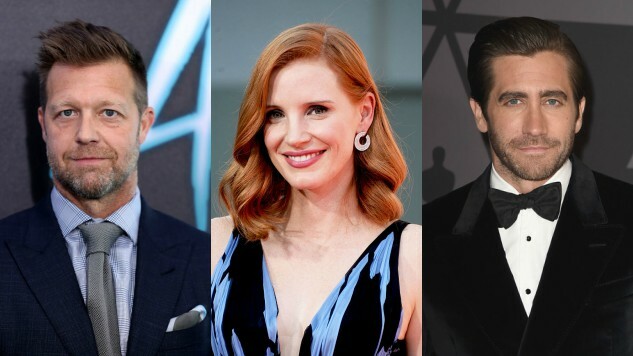 According to Chastain, whose Freckle Films is producing the project alongside Gyllenhaal, the two of them are committed to adapting the game justly by staying true to the tone of the game. The bestselling title was developed by Ubisoft for Microsoft Windows, PlayStation 4 and Xbox One. The game recently reached a milestone of 20 million players, with Ubisoft announcing a sequel in March. The film adaptation will also be produced by Kelly McCormick with Leitch through their 87Eleven banner, as well as Riva Marker of Nine Stories and Kelly Carmichael of Freckle Films alongside Ubisoft Motion Pictures. Leitch will also helm the forthcoming Fast and Furious spinoff starring Dwayne Johnson and Jason Statham. It is most likely that the spinoff will shoot first, delaying pre-production on The Division to 2019. Leitch, on top of directing Deadpool 2 recently directed Charlize Theron in Atomic Blonde. He also has an extensive resume of stunt coordinating, and previously worked as a stunt double for the likes of Brad Pitt and Jean-Claud Van Damme. Chastain has a slew of projects in the works, including an untitled holiday comedy with pal Octavia Spencer and It: Chapter 2. She can be seen in the forthcoming Woman Walks Ahead this summer and the recently delayed X-Men: Dark Phoenix in 2019. Gyllenhaal can be seen in the forthcoming The Sisters’ Brothers with John C. Reilly and Joaquin Phoenix, and the Sundance hit Wildlife with Carey Mulligan. He also will star in the forthcoming Netflix film Velvet Buzzsaw from Nightcrawler director Dan Gilroy. It seems like this videogame adaptation may actually be a decent one, which is good news, since the list of bad videogame adaptations seems endless. You can check out our recent list of Oscar winners who’ve starred in videogame adaptations right here.